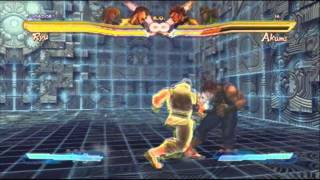 Looking to goof around in the Street Fighter x Tekken 2013 lab, Fraggel Productions posted a new combo video using only Shoryukens. Watch Ken and Ryu team up in the ultimate uppercut beatdown inside. Mash DP! Fraggel Productions wanted to have some fun in the Street Fighter x Tekken 2013 lab. The uploader uses the team of Ken and Ryu to perform a combo using only Shoryuken attacks. Keep watching until the end for a hilarious dance mix.